When Hans and I had some of the first conversations about traveling in Europe long term, we immediately ran into one large, furry, four-legged roadblock: Banjo. In case you need a refresher...this is the adorable "roadblock" in question. We didn't want to leave Banjo behind for a couple of practical reasons and one incredibly sentimental one. We didn't know how long we would be abroad when we left for Europe, and we didn't want to saddle a friend or family member with the burden (erm, joy?) of taking care of our dog for an unknown amount of time. We also just didn't want to leave him behind for that long because, well, we love him. Desperately. Even though traveling with a dog has proved to be a logistical challenge at times, it's also been such a joy. We've had lovely conversations and interactions with random strangers because of Banjo. We look way less like tourists when we're walking around with a dog. His presence is incredibly grounding and normalizing as we flit around Europe, and we've often joked that he is our "four-legged piece of home." For us, the perks have outweighed the challenges. If YOU are looking into traveling Europe with a dog (or just curious how we make it work) read on! Yours truly read one too many horror stories about dogs in the cargo holds of planes, so we immediately started looking at alternatives to flying. Which led us to the Queen Mary 2, a transatlantic (New York to Southampton) ocean liner that also has kennels for dogs and cats. Compared to the flights we would have had to take in order to bring a dog, taking the QM2 was only going to be a few hundred dollars more expensive. We booked during a sale, which helped. Plus, we had a week-long swanky vacay out of the deal and Banjo spent his transatlantic crossing mostly frolicking around on deck with other dogs. The QM2 Kennels are in a pet-designated area of the ship, with gated deck space. There are two full-time Kennel Masters, whose sole job on the ship is to look after the pets on board. Banjo was even treated to "room service!" We had four different visitation periods throughout the day where we could hang out with him, the other dogs, and their humans. I know taking the QM2 isn't a practical step for everyone due to budget or time constraints. There are plenty of people who fly with their dogs without any issues, and that's great! It's definitely a quicker option and can be a good deal cheaper. For us, knowing Banjo's personality and temperament, traveling by ship was the best choice, and we're looking forward to our return journey in December! Read more about the Queen Mary 2 Kennels right here. If you're interested in the human side of the QM2 experience, I've got just the blog post for you! Getting Banjo to Europe required, I kid you not, more paperwork than it took for Hans and I combined. My recurring nightmare leading up to the trip was us showing up in New York and getting turned away at the gangplank of the Queen Mary 2 because we didn't have a signature in the right ink color* on Banjo's paperwork. Even worse was the thought that Banjo would have to be quarantined on arrival due to a clerical error. One of our best decisions was to hire the fabulous Lindsay Anderson of Pack Your Pets. She's a pet travel agent (hello, dream job!) and she helped us get all the paperwork together. Because we were driving from Kansas to New York over the course of two weeks, we ended up visiting two different vets for the necessary health certificate and parasite treatment. This created some logistical challenges when you factor in that the health certificate needed to be rubber stamped by the regional USDA office, too. It was sort of a mess, so hiring Lindsay saved us a ton of headaches. Here are the basics: your dog has to be microchipped and vaccinated against rabies. After that, the International Health Certificate is the most crucial piece of paperwork. This is the US version of a Pet Passport. It essentially certifies that your dog is healthy, vaccinated, and free from parasites, and has to be issued 10 days before travel. Then, 1-3 days before travel, the dog must have a parasite/tapeworm treatment administered by a licensed vet. The UK is more strict with their pet entry regulations than the rest of the European Union. There have only been a handful of rabies-related deaths in the UK in the last two decades, and that's because the UK does not mess around when it comes to animals coming into the country. Additionally, every time you bring a dog into the UK, they need to have had the parasite/tapeworm treatment 1-3 days before entry. Once we were in the UK, we took Banjo's Health Certificate to an accredited UK veterinarian to get it "swapped out" for a Pet Passport to allow us to travel with him around the rest of the EU. This means that our dog has a UK passport, which is hilarious to me considering that Hans and I have casually googled "UK US dual citizenship" on more than one occasion. I've vastly over-simplified this process. 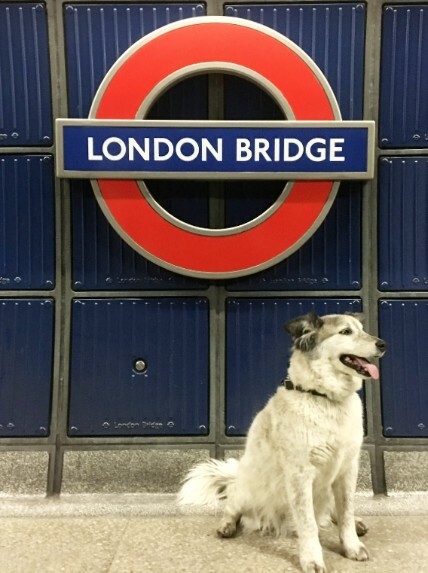 If you're thinking about traveling to Europe with your dog from the US, there a fantastic overview of Pet Travel on the State Department website that I'd definitely encourage you to check out! Aside from the UK, we haven't had to do anything in particular to take Banjo across borders in Europe. We've found that Europe, on the whole, is extremely dog friendly. We've encountered zero problems taking Banjo on trains, busses, and subways. We always check beforehand just to be safe, though! Because it made the most sense for the way we were going to be traveling, we rented a car and have been relying on that for our primary form of transportation. Anytime we've had to go across the Channel, we've either taken a ferry or the Channel Tunnel with our car. The Eurostar train does not allow dogs (with the exception of guide dogs) on board. Our primary form of lodging in Europe has been housesitting, which you can read more about here. In our initial housesitting applications, we obviously include information about Banjo and link to our reviews from previous homeowners. However, there are plenty of people who would rather not bring another dog into the mix with their own pets, and that's perfectly fine. We totally understand this, and we never begrudge anyone who turns us down because we have our own dog with us. That being said, we're on our 16th successful housesit with Banjo. Many of those homeowners have had the attitude that, "Wow, if this couple went through all the trouble of bringing their own dog to Europe, they probably really love animals and they're probably going to take great care of our pets." Banjo is also incredibly easy-going and chill, which helps tremendously. Beyond housesitting, it's really quite easy to find pet-friendly lodging in Europe. We did have to make one last-minute stay for a few nights in a hotel in England, and we were easily able to find a hotel that would let us bring a dog. When we've needed to find AirBnB's to fill in gaps in between housesits, we haven't had an issue finding a place to stay. Traveling Europe with a dog has definitely been a unique, one of a kind experience. Maybe we're a bit crazy for bring Banjo all the way across the Atlantic, but for us, it's been worth it. We embarked on this journey not knowing when we would return, so it didn't make sense to leave our furbaby behind. If you're considering traveling Europe with your pet, I'd love to chat below in the comments or you can always contact me! Have you ever traveled with your pet? Where did you go? PS - Want even more canine travel inspiration? Shandos Cleaver of Travelnuity has a fantastically detailed guide to traveling around Europe with your dog! I can confidently say that I could spend a decade or two exploring London, and still only scratch the surface of this diamond of the first water of cities. Originally settled by the Romans in 47 AD, this sprawling mass of humanity on the banks of Thames is a cultural mecca...an epicenter of art, literature, education, fashion, medicine, research, finance, commerce, cuisine, and history. There's no way you can see it all in a day (or even fifteen) (or even fifteen hundred), but Hans and I have loved all the bits we've experienced so far. Whether you've never visited before or you're a seasoned city-dweller, I hope our day out can inspire your own London adventure! The tallest building in London, standing 96 stories tall on the South Bank, is the Shard. Suffice to say, this is where you go if you want a good view of the city! Aqua Shard is situated on the 31st floor, facing north over the Thames with prime views of St Paul's Cathedral, the Tower of London, Tower Bridge, and the HMS Belfast. We enjoyed full English breakfasts, consisting of eggs, streaky bacon, Cumberland sausage, tomatoes, beans, Portobello mushrooms, toasted sourdough, juice, and coffee. One of the most wonderful things about London is that many of the museums and galleries are free to enter. Even better, some offer free guided tours! Such is the case with the National Gallery, the nation's premiere art museum situated in Trafalgar Square. Their sprawling, 2,300-piece collection contains works by da Vinci, Michelangelo, Rembrandt, Raphael, Monet, Rubens, Renoir, and Van Gogh...and many, many others! We dashed over to Covent Garden so I could pop into Deciem's The Ordinary, the Canadian cult (there are two words you hardly expect to see together, eh?) skincare brand. Along the way we stopped at Jo Malone so I could have another whiff of their Velvet Rose and Oud cologne, which is the top contender for my signature scent at the moment. If you need a little help finding something unique to do in London, take a peek at AirBnB London Experiences. There are loads of unique adventures to be had...walks and tours for history, food, literature, photography, and dozens of classes and workshops. Hans and I did the "Explore London Backstreets With A Historian" walking tour, and our wonderfully informative and friendly guide Terry took us through some of the quieter bits of this magnificent city. We started in front of Westminster Abbey, meandered around the Hogwartsian Dean's Yard of Westminster School, and walked through the insufferably adorable Westminster Village, passing by TE Lawrence's (better known as Lawrence of Arabia) house and an old Public Bomb Shelter sign, leftover from the Blitz. We walked past St John's Church, now a concert hall, in Smith Square, along with the old Conservative party headquarters (in a twist of irony, the building is now occupied by the London European Union offices) and the old Labor party offices. The buildings are just across the square from one another, and Terry told us that back in the day they would literally lean out their windows and heckle each other. We also passed the Marquis of Granby, a pub historically frequented by MP's, where a bell used to be rung 10 minutes before a vote to remind them to leave for the Houses of Parliament. Onwards to St John's Gardens in Millbank! The park was once London's cheapest burial grounds, and Terry informed us we were walking over the last remains of the likes of prostitutes, thieves, and other such unsavory characters. The original gate, installed to deter grave robbers, still stands along the Horseferry Road entrance. Further along in Pimlico, we came to the old Millbank Prison. The prison blocks have since been transformed into apartment complexes, and the old canal is now inhabited by urban gardens and washing lines. Millbank Prison used to be the holding facility for convicted prisoners before they were transported to Australia. Terry informed us that the term "down under" in reference to Australia actually originated at Millbank, since the prisoners were taken underneath the prison through tunnels leading out to the Thames, where they would board the ships headed for Australia. Finally, we emerged onto the South Bank of the Thames and passed through a little park (where Hans spotted a beautiful sculpture of holding hands entitled "Love" by Lorenzo Quinn) before crossing Vauxhall Bridge, with the imposing MI6 Counter-Terrorism Command Center on our left and the new St George's Wharf Apartments on our right. We went from some of the oldest bits of London to some of the newest additions, and Terry did an excellent job leading us through all the layers of history. We'd definitely recommend booking the "Explore London Backstreets With A Historian" walking tour with him if you're looking for an interesting way to spend an afternoon! 4:30 - Selfridges & Co.
Just before heading home, we dashed into the iconic Selfridges & Co. store so I could pick up a few things. Selfridges has literally been voted the best department store on the entire planet (twice!) and you could easily spend all day getting lost amongst the gorgeous displays and luxurious brands. Opened in 1909, this Oxford Street stalwart boasts over a dozen in-store restaurants and cafes, a spa and salon, a pharmacy, personal shoppers and stylists, a multi-faith prayer room, and even (randomly) key-cutting services. After our high street jaunt we headed home. Our current housesit is a ways north of London, so the transit time was...shall we say...extensive. We're especially grateful for a family member of the folks we are housesitting for who kindly offered to watch the dogs so we could take advantage of a full day out in London! In August, we have a two-week housesit in Blackheath (located within the Royal Borough of Greenwich) and then a couple days directly in London with a dear friend of mine. Anything in particular YOU think we should see? Have you ever been to London, or do you want to go to London? What are some of your must-see places? Over lunch in early 2017, a friend told me about housesitting. We had been talking about AirBnB and travel in general, and then she said six worlds that would literally change my life: "Have you heard of Trusted Housesitters?" My head snapped up from Fuji Apple Chicken Salad, spine ramrod straight. "What?" "Yeah, it's a website where people who are going on vacation advertise that they need someone to watch their house." I don't totally remember what else we talked about that day in that Panera booth, a weak winter sun gleaming outside. But, I do remember that after I got home I promptly spent the entire afternoon poking around the Trusted Housesitters website and got nothing done with work. I was tumbling down the the rabbit hole, utterly entranced. There were people all over the world - France! Fiji! England! Mexico! Italy! - who were willing to let a responsible person or couple stay in their home for free in exchange for keeping an eye on things and watering the plants or walking the dog. There were even some quaint looking farmsits, too. It was one of those things that seemed almost too good to be true, except that it was totally logical. People pay for house and pet sitters, and people pay for places to stay when they travel. It made sense that you could match those two needs in an even exchange. Hans and I did our first housesit in the spring of 2017...five weeks in an exquisite country that felt like a dream come true. 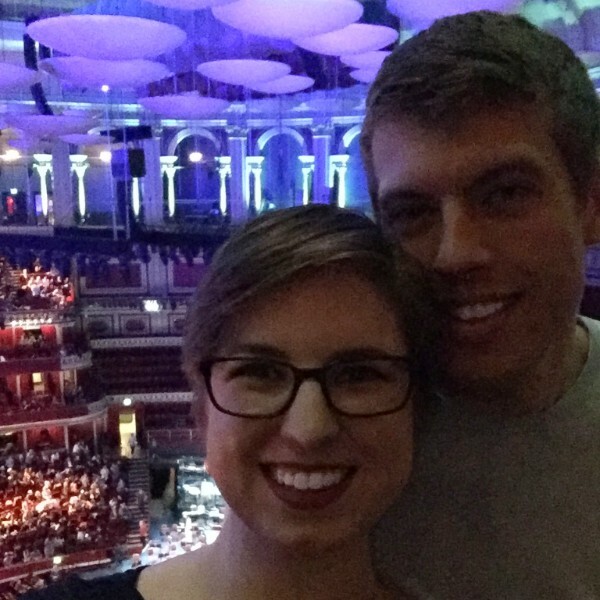 It was during that housesit that we started dreaming about the possibility of using housesitting as a way to travel around Europe, which had been a goal of ours since we got married. And now? I'm writing this post in the living room of a home north of London where we're watching a darling dog named Poppy until the end of the month. Hans and I (and Banjo!) have been housesitting through Europe since November 2017. I love talking about this way of travel, so I thought I'd put together some answers to the most common questions we get about housesitting. If you're interested in unique travel and love animals, read on! 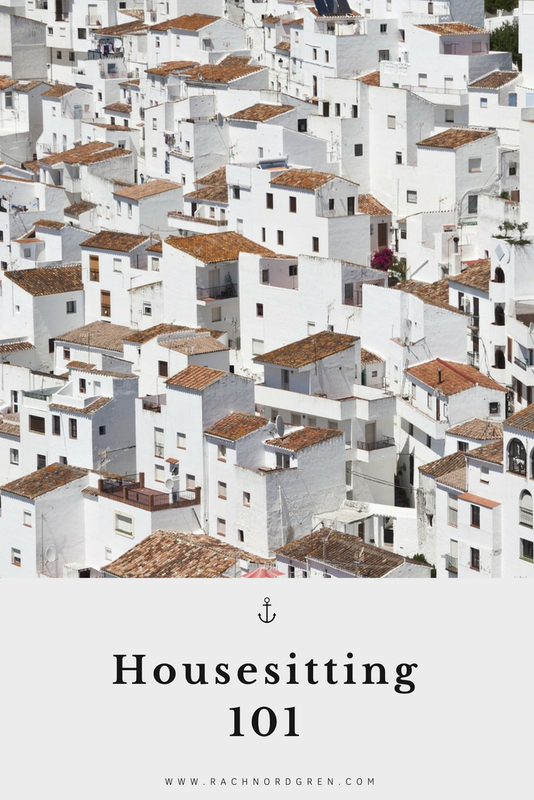 How do you get started as a housesitter? There are multiple housesitting websites and agencies out there, but the only one we currently use is Trusted Housesitters. There is a yearly membership fee of $120 for the site, which is roughly the cost of two nights in an average hotel. You can also get 20% off your membership signup by using this link or entering our referral code RAF70595 at checkout. Homeowners also pay a membership fee. After that, you set up your profile, add personal information and photos, and list your experience. Worth noting: you are unable to apply for housesits on Trusted Housesitters unless you are a member of the site. You can browse available housesits without becoming a member, though! To help build additional trust with potential homeowners, especially when we were just starting out and didn't have any reviews on our profile, we asked three people to provide references for us through the website. We also paid a bit more to have the extra verification of a professional background check done for our profile. It's best to provide as much information as possible! Think about what you would like to know about a person if you were inviting them to stay in your home and look after your pets. Be honest and thorough. Need some ideas? You can view our Trusted Housesitters profile right here. How do you find housesits? The Trusted Housesitters website is a wee bit clunky, but once you get the knack of it, finding housesits is pretty easy! You enter the location you're interested in (or you can search by the map function), and then filter the results by dates, length of sit, animals or lack thereof, etc. For those of you with kids, you can also search for housesits that have advertised themselves as family friendly. After you're found a housesit that looks interesting, click on the listing and read through to see if it's going to be a good fit. Homeowners will fill out an intro, information about their home and location, and specifications about their pets and/or other responsibilities, along with a couple of photos. If all that still looks good, go ahead and apply! Introduce yourself, tell them why you applied to their housesit, talk about why you think you would be a good fit, and invite them to get in contact with you if they've got any questions or would like to set up a video chat. After one particularly sticky situation with a homeowner, we always ask to do a video chat before committing to a housesit. It can help you get a feel for things, and give you a sense of whether or not it will be a good fit. You're not going to be a perfect match for everyone, and that's okay. If you get accepted, hooray! Check out this fantastic post about the 10 things you should do after landing your first housesitting job. Do you get paid for housesitting? Through some agencies, maybe! But through Trusted Housesitters, we do not get paid. We actually prefer it this way, because it means we're building relationships as we travel and not just conducting business transactions. We end up feeling like we're coming to stay at a friend's house instead of showing up for a job. We have seen some listings where homeowners have offered to pay their housesitters for extra duties like particularly large farmsits, but it's definitely not the norm. How long can you housesit? We've seen everything from one or two night sits all the way up to a year. People need housesitters for quick trips and summer vacations, but also longer trips to visit family or do some traveling themselves. We've also seen 6+ month housesits where people are going on a sabbatical for work or need someone to look after their vacation home. 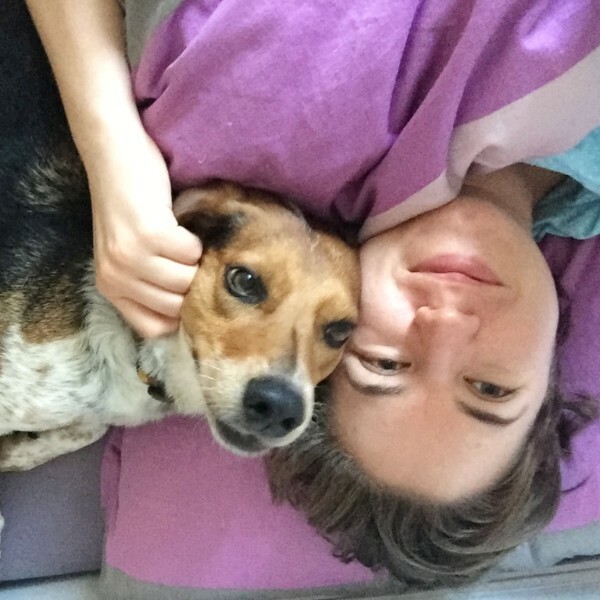 99.9% of the people on Trusted Housesitters are lovely, honest, kind human beings who love their animals and want them to be well taken care of. The website is review-based, meaning that you can see what other people have said about a homeowner if they have had previous sitters. The website is still growing, so there are lots of new homeowners who have never had a housesitter before, so a lack of reviews isn't necessarily a bad thing. I would recommend taking a careful look at the housesitting listing and photos. Do they give enough information for you to get an idea of what their home and pets are like? Do the pictures show a home that looks safe and clean? How do they describe their animals? If anything seems "off" to you, trust your gut. Either ask the homeowner specifically (perhaps they just forgot to clarify something in their listing) or pass on the housesit altogether. Also, Trusted Housesitters has a 24/7 helpline for their housesitters to help in case of an emergency, veterinary or otherwise. Check the site often! Some people list that they need a housesitter months in advance, and some people wait until the last minute. You never know what you're going to find. Housesitting is not like staying in an AirBnB. The homeowner will likely set you up in their guest room or spare bedroom, and you might share a meal or two with them before they leave, but don't expect them to cater to you. You are their guest, but you are also there to do the work of looking after their home and pets. Leave the house just as clean (or cleaner) as it was when you arrived. It's just good manners. Final thought: If you want to be a tourist, housesitting probably isn't for you. The homeowner likely doesn't want someone who is only going to do the bare minimum and leave their animals home alone for long stretches of time. That doesn't mean that you won't get out and about at all, but the wishes of the homeowners and the welfare of the pets should always be your first priority. Personally, we really like housesitting because high-paced touristy travel isn't really our thing, and we'd much rather immerse ourselves in a place and get a feel for what it's like to actually live there. We genuinely love traveling this way because it feels slower and more authentic. There's a time and a place for tourist travel (hello, we did London and Paris in one week! ), but housesitting isn't it. Interested in joining Trusted Housesitters? Get 20% off your membership signup by using this link or entering our referral code RAF70595 at checkout. Using our referral link or code gives Hans and I a discount on our own membership, so thanks in advance! If you want to see some of the places we've traveled to with housesitting, head right on over here. Where would your ideal housesit be? Let's chat in the comments below! Welcome back, lovely readers, for another round of travel tales! March was a bit of a surprise for me...we actually had family activities to be a part of for the first time in 6 months! Hans has German and Swedish heritage, and some of his extended family still lives in Europe. Thanks to Hans' mom, we were able to get in touch with the German relatives and spend some time with them in April. I mostly nodded and smiled and tried to remember the names of all the cousins, but I loved watching my husband get to uncover his heritage roots a bit. We'll be visiting his Swedish family later this summer! Want more of our travel story? Check out our updates from January, February, and March. You can also take a peek at the #NomadicNordgrens hashtag on Instagram, and sign up to be on our monthly email updates list. After our grand adventures in London and Paris during March with Dean and Roxann, we headed to Leer, Germany, where we stayed with Thilo, Hans' longtime friend and high school foreign exchange student. It was wonderful to spend time together! We celebrated Good Friday with him and his family before heading to Bielefeld (still in Germany) to meet relatives from Hans' mom's side of the family. Our German relatives also gave us a warm welcome and showed us the old Bentemann farm as well as some significant towns and landmarks. We are so grateful for their hospitality, and for how much we learned about the Ostwestfalen-Lippe Region. We sort of felt like we were on a private tour with the best guides in Germany! Thank you so much to Annelie, Steven, Karin, Friederich, Ulrike, Elisabeth, Heinz, Karin, and Gustav for making us feel right at home. The photo above was taken at Externsteine, a massive rock formation near Lippe in Germany. You can't really see any of the rocks in the picture because Banjo's furry face is in the way, so we suggest clicking on the link to check them out! After Germany, we headed to Zürich, Switzerland for about two weeks to watch a lovely menagerie of animals for a couple named Julie and Eric. Fun fact: Eric is actually from Kansas! After Switzerland, we spent a day exploring Liechtenstein (the world's sixth smallest country!) before heading back to the UK, where we will be for the rest of the summer. As always, we feel deeply thankful for everyone who has welcomed the three of us into their homes and lives during our travels. In today's crazy and often discordant world, we are grateful for the continual reminder that kindness knows no boundaries and there is much more that unites us as humans (and canines!) than divides us. For Good Friday (technically still in March, but who's counting? ), Hans' foreign exchange "parents," Udo and Dagmar, invited us to join them for a lovely family dinner. We enjoyed a simply delicious meal of salmon with a creamy filling, rice, and sauteed spinach all accompanied by a heavenly cream sauce and glasses of ice cold white wine. For dessert, chocolate...because duh, it's Germany. Hans' real German family made sure that we ate really well, too. We were treated to all sorts of traditional German dishes, like braided Easter bread, local meats and cheeses (including a hard cheese with peppercorns in it that Rachel adored), potato pancakes called "pickert," and of course, bratwurst! Ma hoomans tell mee dat dis iss zee only paart oof da neewslitter dat peeple actoolly reed. Dat meens my hoomans kood chuk da rest of dis ting 'nd speend moor time pettin me orr gimme moor of da speshal treets dat dee niice peeple in Gerrmuny gaav us. I rode da train AND da toob in Lundun 'nd I wuz reely brave beecuz da toob soundeed lik eet wuz gooona eat me but I staid kalm 'nd karried oon. We arr bak in Engelund 'nd I lik it heer becooz der arr lotz of sheepz. One of the biggest surprises in our travels has been how much community Hans and I have found abroad. When we started out, I mistakenly assumed that we'd get really lonely and sick of each other, because we would only have each other for company. While it's true that we spend basically all of our time together (and we do get annoyed with each other sometimes), we've also been pleasantly surprised by the relationships we've discovered and strengthened with other people we've met. Have you ever visited extended family abroad? What was your experience like? Lover of words, coffee, belly laughs, & passport stamps.